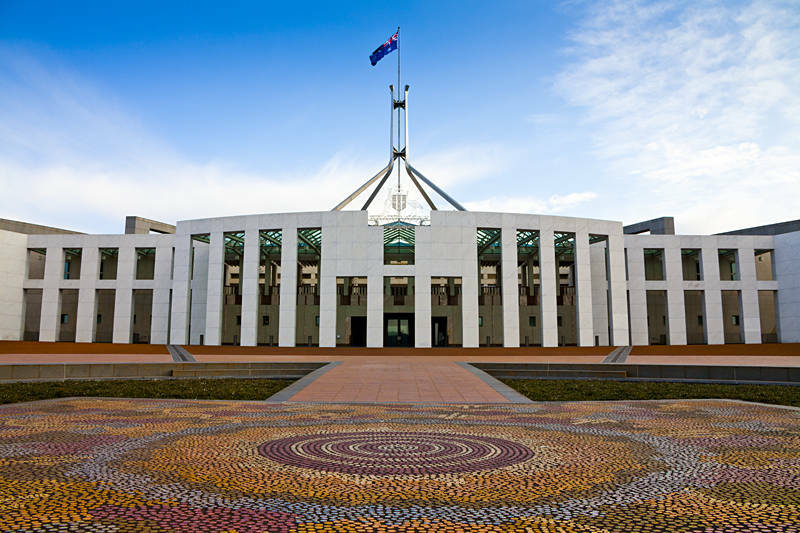 This is the Australian Parliament House in Canberra, which was the World’s most expensive building when it was completed in 1988. It is open to the public and you are free to wander around on your own. It is also covered with grass so you can have your lunch above the politicians. The mosaic in front of the building is made up of approximately 90,000 hand-guillotined granite pieces. Since then it has been accepted by Shutterstock for Stock Photography and is available for download here. Beautiful modern architecture.. lovely perspective.